For years I was convinced I hated scotch. Then one day someone talked me into doing a massive side-by-side tasting of some single-malts and I realised that I don't hate scotch, I'm just not a fan of scotch from one specific region of Scotland (and consequently blends that use a heavy amount of scotch from that region). 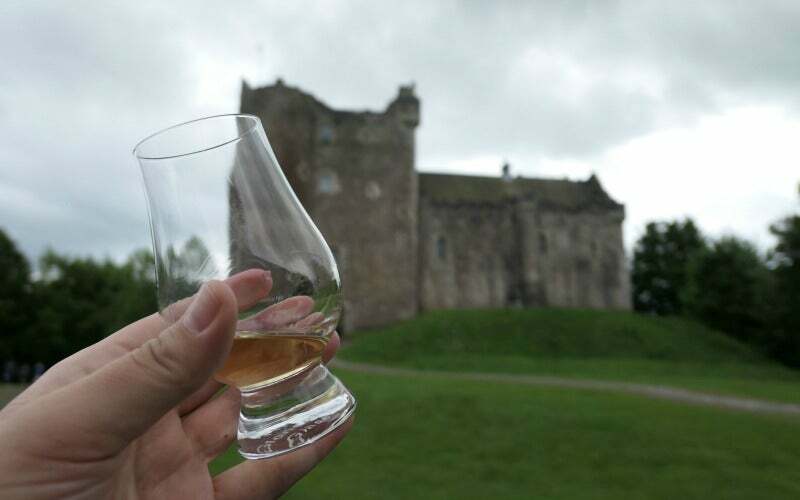 Scotch, or just "whisky" (yes, without the e) in Scotland, is made all over the country, but where its made has a huge impact of what it tastes like. Think of it like the difference between a wine from France and one from Napa, except you're looking at the same country. Where a distillery gets its ingredients, the water it uses, and the weather while the whiskey is ageing can all have an impact on the flavour of the final product and can determine whether or not you'll like it. You can get super nerdy about this topic, but since this isn't a drink blog I'm going to break down a few of the different regions on a super basic level (read: whisky connoisseurs this post probably isn't for you). Depending on who you ask, the Islands and Campbelltown should also be included on this list, but since they're exceptionally small (and single malts from these regions are hard to find) I've omitted them for clarity's sake. If you're just getting into scotch and know a brand you've already enjoyed, you might want to give another whisky from that same region a try. Likewise, if you're like me and think you dislike scotch, scope out some of the other regions — you might be surprised at how much more you like them. Whiskies from this region are known for being full bodied, with notes of smoke and peat. When you taste these, they tend to have a sweet start, and then finish dry. Popular distilleries from this area include Aberfeldy, Deanston, Edradour, Royal Brackla, and Glenmorangie. Highland whisky tends to be my favourite. Speyside is the king of the whisky regions in Scotland, and where the majority of distilleries are located in the country. While technically part of the Highlands, Speyside earned a region all of its own due to the distinctive taste of whisky made here, which are slightly sweet with fruit flavours and occasionally hints of smoke and peat. The region gets its name from the river Spey, which runs through the area. Popular distilleries here include Glenlivit, Macallan, Glenfiddich, Glenfarclas, and Aultmore. If you like smoke, then Islay is the region for you. The area is known for its smoky whisky, which is thought to be in part due to the high winds in the area. Whiskies from this area are dry and peaty, a flavour they get from the peat they use to malt the barley during the process of making the whisky. Popular distilleries in this area include Bowmore, Lagavulin, Ardbeg, and Port Ellen. There are only a few distilleries operating in this region, and whisky tends to be light bodied with a dry finish. If you're just getting into scotch whisky, these can be a great way to get started. A lot of the whisky made in this region ends up in blends, but popular single malt options include Glenkinchie, Littlemill, Rosebank, and St Magdalene. Another tip: If the country of origin has an 'e' in its name, so does its Whiskey. If the country doesn't have an 'e' in its name, neither does its Whisky.